Stuffed animals serve a simple purpose: To be cute and cuddly. As such, they’re imbued with a sort of innocence, so far as inanimate object can be, which is perhaps why someone thought no one would notice if a sweet little teddy bear was stuffed chock full of what could be stolen credit cards. Transportation Security Administration agents at Boston’s Logan snagged a stuffed anima after noticing an odd mass inside a child’s teddy bear, reports CBS Boston. 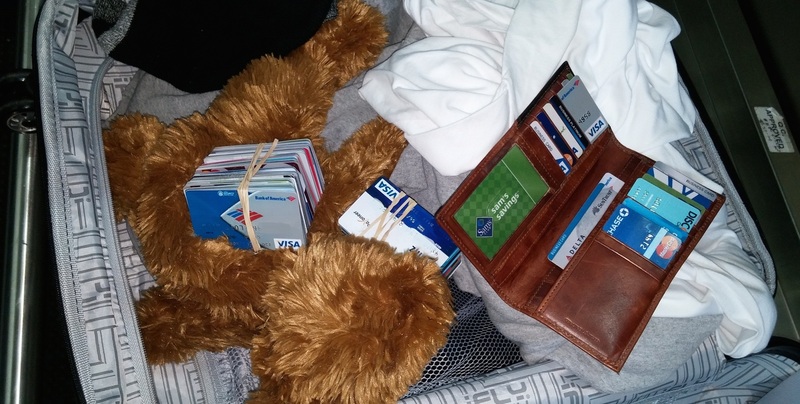 “When TSA Officers went to resolve the anomaly they discovered dozens of credit cards of differing names concealed within the stuffed animal,” the TSA said in a statement. The TSA notified the Massachusetts State Police, who are now investigating the teddy bear turned mule. This isn’t the first time the TSA has found very adult things that shouldn’t be inside stuffed animals stuffed into a toy: A few years back, a man traveling T.F. Green International Airport in Warwick, RI said he had no clue how handgun parts ended up dispersed inside three of his four-year-old’s stuffed animals.